This tract is an ideal industrial location at the corner of Athena Drive and Olympic Drive in Athena Industrial Park, Athens Georgia. The tract is less than 1 mile to the Athens Perimeter (a 4 lane divided median highway) which connects to 6 major highways serving and passing through Athens. 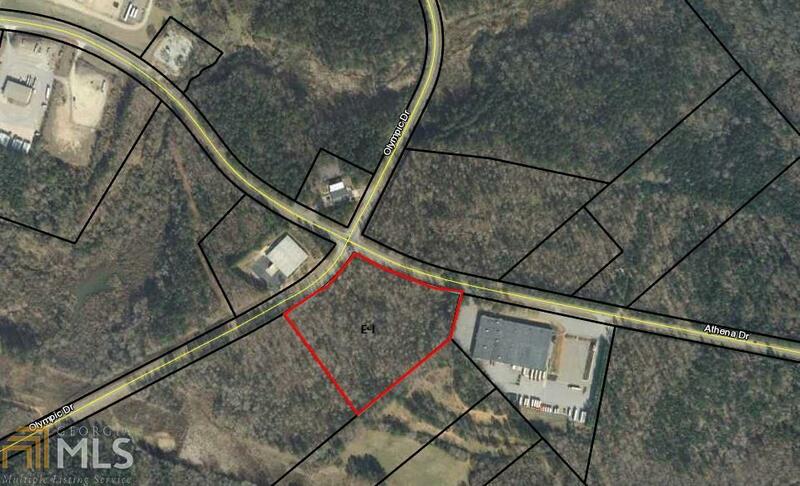 Additional, the property is located 65 miles east of Atlanta Georgia and Hartsfield International Airport. The city of Athens is the home of the University of Georgia with a focus on bio-science research and offering a good balance of industrial companies. Listing provided courtesy of Whitworth Land Corporation. © 2019 Georgia Multiple Listing Service, Inc. All rights reserved. Information Deemed Reliable But Not Guaranteed.